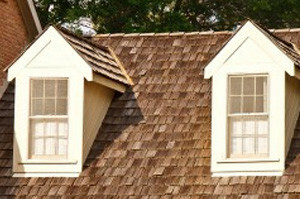 Shingled Roofing | Cedar Shake Roofing | Slate Tile RoofingNaperville Exteriors, Inc. endeavors to provide its customers the best roofing services in the industry. We are recognized for using a proactive approach to roof repairs by urging homeowners to engage in preventative measures before their roofing issues become full-blown problems! Homeowners and business owners are able to save thousands of dollars in roof repair and roof replacement costs by having our comprehensive team of roofing experts attend to their roofing needs. With our team taking care of your roof repairs, you will see that it will likely eliminate the need for more expensive procedures such as complete roof replacement. With Naperville Exteriors, Inc. you will never be obliged to get a complete roof installation when it is only a minor roof repair that you need. Once we conduct an on-site inspection of your roof, we will ascertain any potential problems and determine the most affordable solutions. For more than a decade, we have delivered roofing services to homeowners and business owners in the Greater Chicago Metropolitan Area. Our capable team of roofing contractors is completely devoted to providing the most reliable roof repair, total roof replacement and roof installation for our loyal customers’ ultimate satisfaction. Lately, Naperville Exteriors, Inc. has been helping Oswego clients with their roof installation needs. Oswego, Illinois is located in Kendall County. Between 20020 and 2010, the population of Oswego more than doubled. There are more than 30,000 residents who make Oswego home. Oswego homeowners consider Naperville Exteriors, Inc. as the best answer to all their roofing needs. We are recognized as a leader in roof repair, roof replacement and roof installation. Furthermore, our roofing contractors produce the finest quality workmanship and deliver helpful product knowledge and professional follow-up to our customers. A significant amount of our Oswego roofing business originates from referrals and repeat customers. If you are considering roof repair or roof replacement, Naperville Exteriors, Inc. will offer you the kind of information to help you choose the appropriate roofing system for your home and your budget. Although price and durability may top your list, style and design are just as important to Oswego customers, too. Irrespective of the roofing you want on your Oswego’ home, Naperville Exteriors, Inc.’s roofing contractors will have the solution. When contemplating the possibility of roof repair, roof replacement or roof installation, you can be sure that Naperville Exteriors, Inc. will be able to help you with each phase of roofing for your home or office. We are well-known for our complete roof replacement and roof installation at the most economical prices possible. If you believe a new roof replacement or roof repair is in the near future for your home or business, the only name you need to know is – Naperville Exteriors, Inc.! For your complimentary estimate, call us, today, at: (630) 254-4831.